I’ve never understood why men say they don’t eat Quiche. Honestly I don’t get it… Eggs, cheese, meat all served up in a flakey, buttery, pie crust?!?! What man wouldn’t love that? 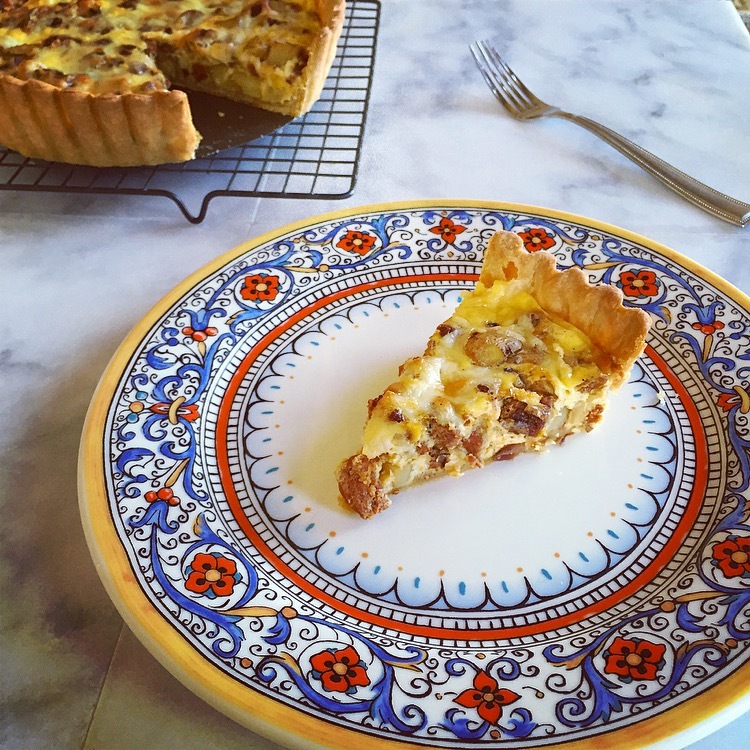 For me there is nothing more wonderful for brunch on Sunday (or any day of the week for that matter) than a delicious, buttery, Quiche. 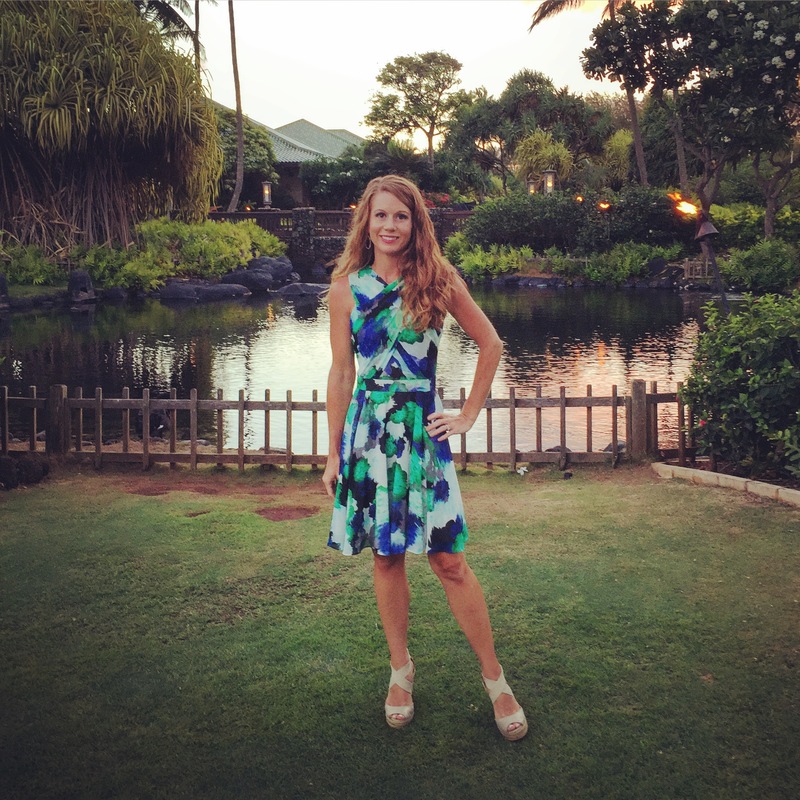 Whether it’s a slice of Quiche from a fancy restaurant, or a decadent slice of Quiche Lorraine from a little cafe on the streets of Paris…. If Quiche is on the menu you can bet that is what I’m going to order. 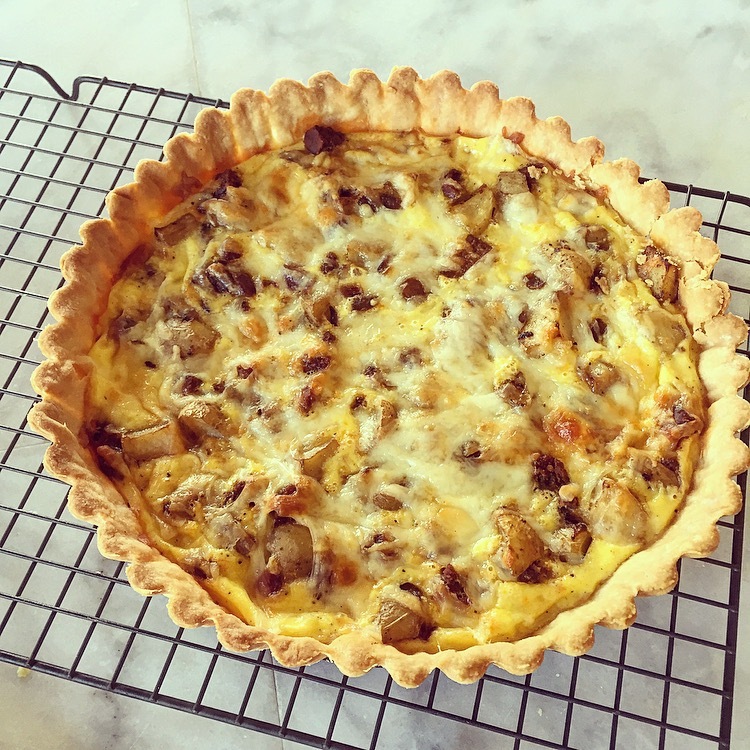 My favorite part about making a Quiche at home is you can add any ingredients you like depending on your mood or what you have on hand. For this Quiche I was thinking a little taste of Spain would be nice with spicy chorizo sausage and potatoes. 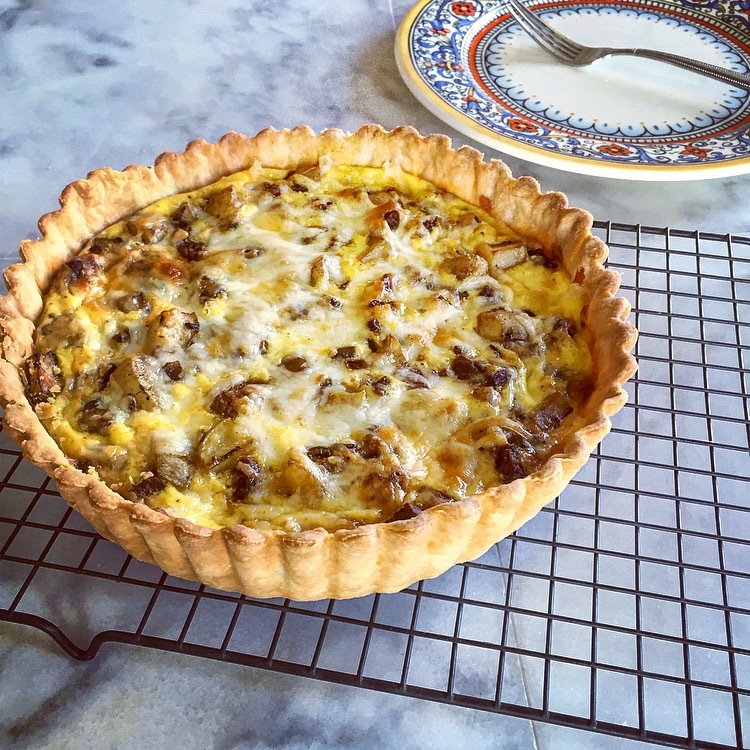 It will be impossible for any man to turn down its flavor packed Quiche. 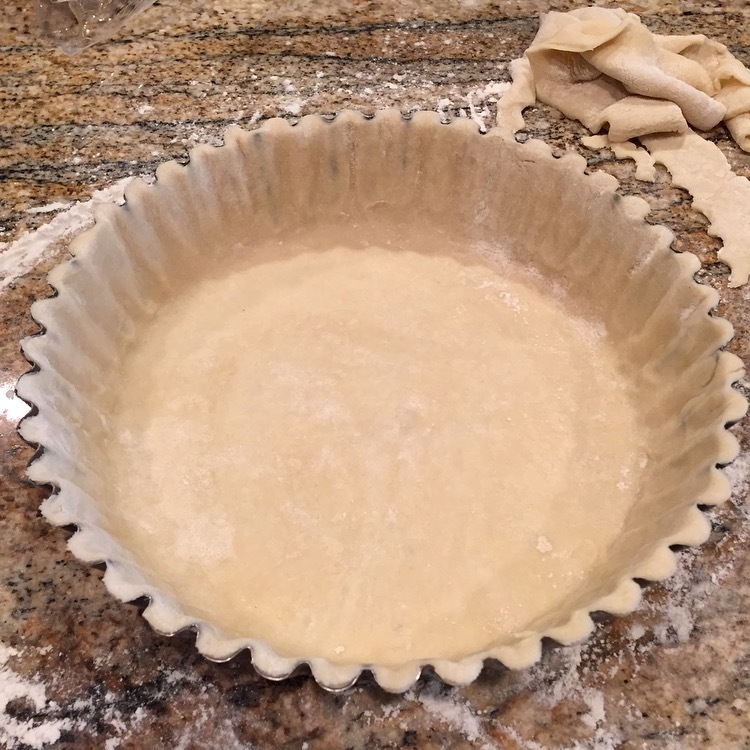 Place the pie crust in a Quiche pan with removable bottom (tart pan or pie plate works too). Prick the bottom of the crust with a fork then cover with foil and pie weights (I use beans) and bake at 425 degrees for 15 minutes. Then remove the weights and foil and bake for another 5 minutes. 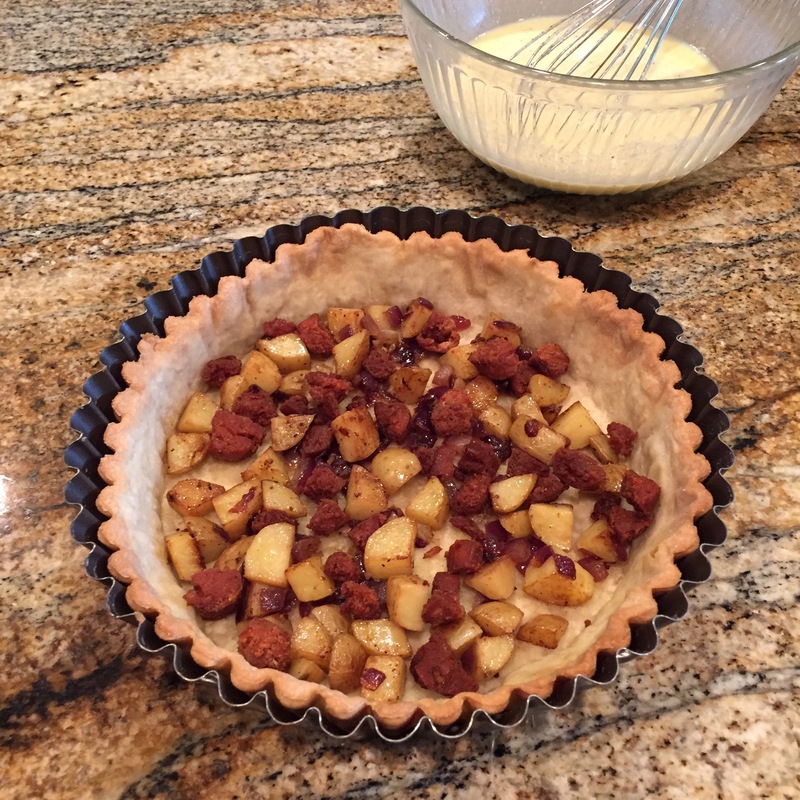 Reduce the heat to 350 and allow the crust to cool while preparing the filling. In a large skillet heat a good drizzle of olive oil over medium heat and cook the chorizo breaking it in to bite sized pieces. Remove from the pan and allow to cool. Drain any excess oil out of the pan then sauté the potatoes, onion and garlic until the potatoes are tender (season with salt and pepper to taste). Then remove from the pan and allow to cool. In a large bowl whisk together the eggs, half & half, Mexican Crema, and season with salt and pepper. Add half the chorizo, potatoes, and cheese to the cooled pie shell then pour over half the egg mixture. Then add the remaining chorizo, potatoes, and cheese and pour over the rest of the egg mixture. Bake in the oven at 350 for about 40 minutes. 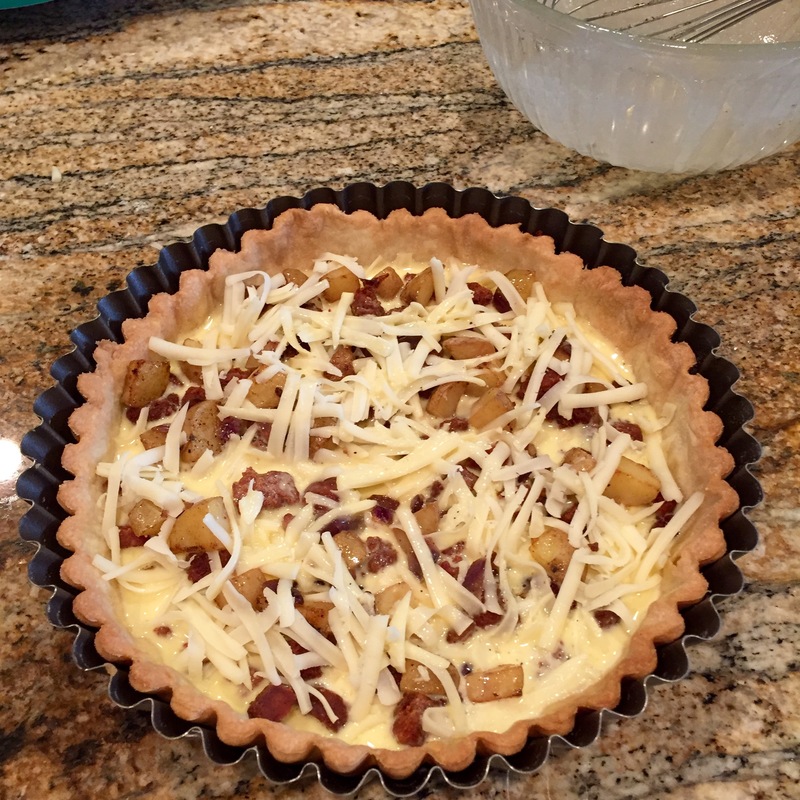 LOL my hubby loves quiche and in fact makes it quite often for dinner! 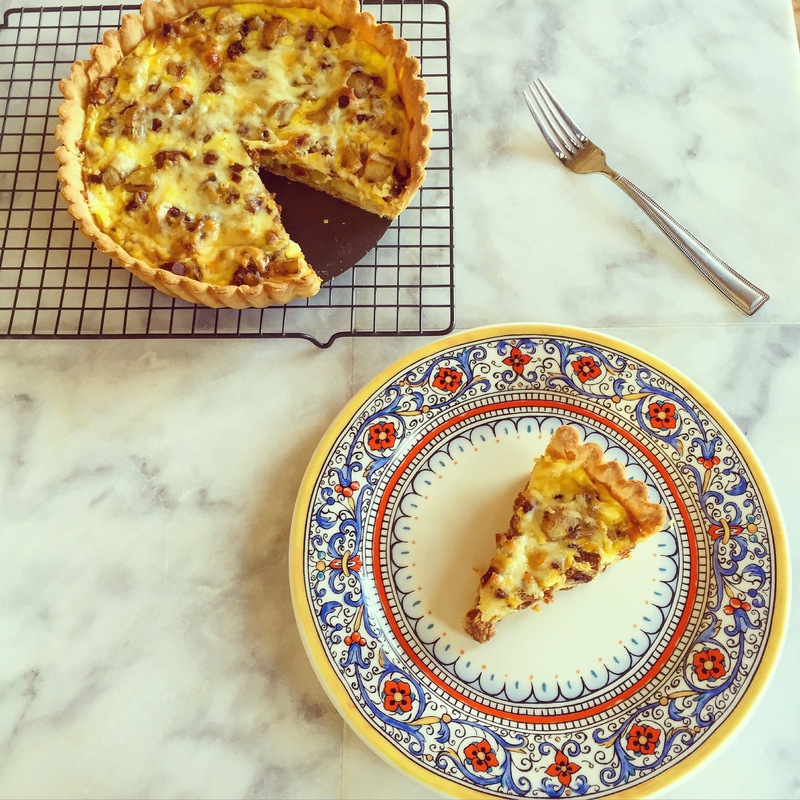 You can’t go wrong with a chorizo and potato quiche, YUMM!